We&apos;re the stand-out hotel on South Beach. Move to electronic music in The Living Room. Mingle with trend-challenging fashionistas in Mr. Chow, our Beijing-inspired restaurant plucked from Beverly Hills. 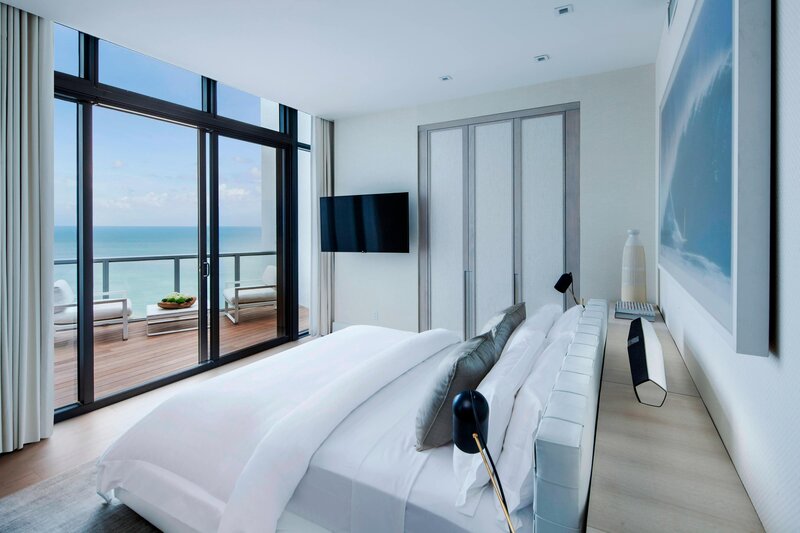 W South Beach is at the forefront of modern design with enormous guest rooms overlooking the Atlantic Ocean from private balconies. Watch the palms sway at WET®, our outdoor heated pool, or loop the Grove garden before indulging at Blissage75™ and the Bliss® brownie bar. Our signature Whatever/Whenever® service is on call anytime. 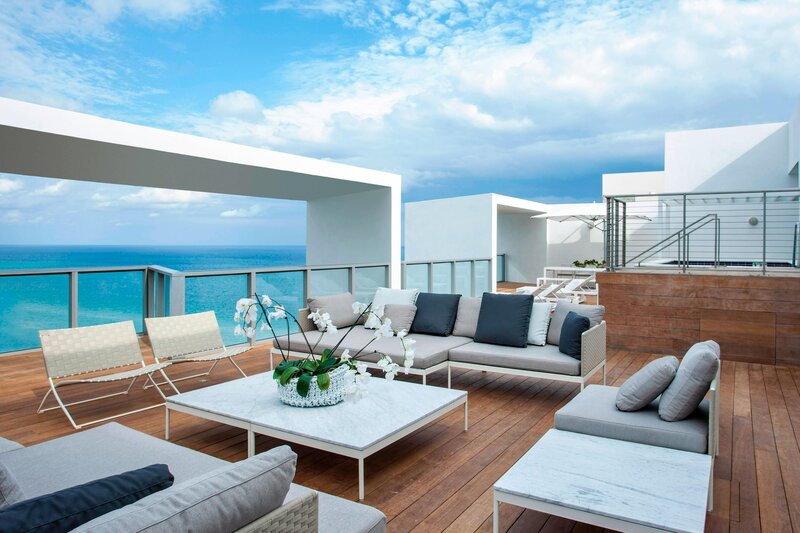 And staggering views of Miami Beach await you on the rooftop, an elevator ride away. Daring, glamorous and provocative, our luxury oceanfront hotel reinvents the resort aesthetic. Soak up the Miami sun at WET, W South Beach&apos;s sparkling heated pool and deck, surrounded by relaxing chaise lounges and luxury private cabanas. Then, head just a few steps away to SAND, our private oasis on South Beach, where our beach ambassadors will ensure you’re outfitted with everything you need for oceanside R&R. Our poolside Wet Bar & Grill delivers fresh cocktails and delicious light fare to WET DECK and SAND guests alike from 9am to sundown. Kick back, relax and enjoy the Suite life. Escape to our luxury resort, where iconic design and mesmerizing Miami Beach views from your private balcony set the stage for an experience that promises whatever you want, whenever you want it. Kick off your shoes in our oceanfront studios and suites. With Delectable Dining in distinctive settings, W South Beach promises to satisfy any appetite. Immerse yourself in the ambiance as you sip, savor, canoodle, or celebrate. Mr Chow offers stunning, unique interiors plus a sophisticated menu of old authentic Beijing & original recipes. This high-ceilinged, 170-seat vision of Meyer Davis Studio fuses light oak floors and white brick walls with a zinc-top liquor bar and driftwood overhead beams, setting the stage for an innovative meal any time of day. Just steps away from WET pool deck, guests enjoy traditional Americana cuisine and tropical cocktails amidst the lush landscaping of our patio. Not your ordinary Living Room. Groove to our cool live DJ mixes, stay in touch via complimentary WiFi, or catch up with friends in one of our cozy nooks- all while sipping on a mixed libation from our colorful cocktail list. Take a respite from the heat with a refreshing beverage, snack, or meal beneath the shade of our covered bar or your own private cabana. Or, enjoy poolside service while you soak in the sun from our luxurious chaise lounges. 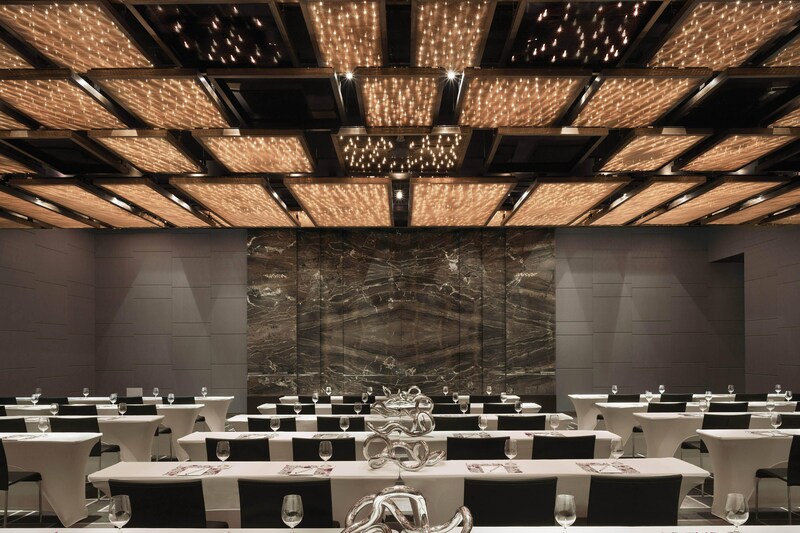 An exquisite location in paradise, featuring authentic offerings for meetings and events of any size. 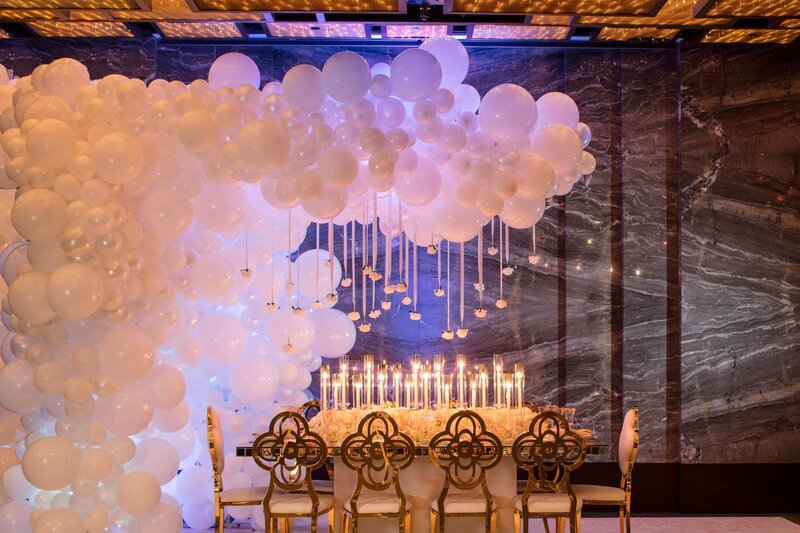 W South Beach features over 20,000 square feet of fully adaptable indoor and outdoor event space to make business beautiful, meetings memorable and special events spectacular. Miami is mesmerizing - W South Beach is the playground of the cool, the melting pot of international tastemakers, and the catwalk of the fashion jet set. You&apos;ll find no shortage of things to do and experience during your Miami adventure. Shoppers will discover their second home in the boutiques of Ocean Drive and downtown Miami. Interested in a little culture? Take in the Art Deco District, Bass Museum of Art, or New World Symphony. Or escape to Biscayne Bay for a day trip to the tropics. There are so many things to do here. Go on, paint our town red.